We can get the color you want. We have relationships and experience with all the top manufacturers, so if you find a color you like, we can get it for you. 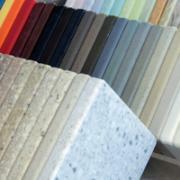 Look around, and see all the colors that solid surface has to offer! DuPont Corian is perhaps the most well-known name in solid-surface, and CVCT has been a leader in Corian for years. Click here to see your many color options in this beautiful solid surface. Wilsonart not only makes some of the most popular laminates, but also have a full line of quality solid-surface product. Check out their colors by clicking here. LG Hi-Macs is another great solid-surface brand. Click here to see their color options. 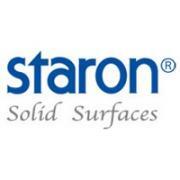 Samsung Staron Solid Surfacing is also a great product for countertops. Click hereto view their colors. We also carry other brands of solid surface available in a variety of colors, but availability and pricing are always changing. Be sure to stop by our showroom for up-to-date pricing and color availability.